Now it is delivery of the opening opening the store. It puts that it is it is possible to learn Gan everywhere of a model fan all over the world further more. We will wait for a lot of accesses of everybody....And, please enjoy shopping for the desire desire!! Acu・Stion / © Original kit No3!! That Yotahati was Restoaed as a present race model.Development is progressing!! ★The commodity introduction is Here. ★Development Brog is Here. 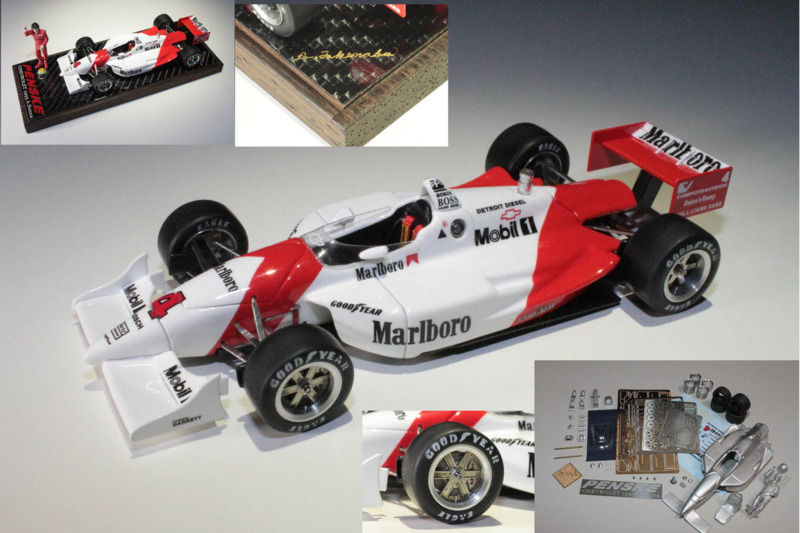 1/43 PENSKE CHEVROLET 1993 A.Senna Complete Model & Kits ALL INFO !! Production Brog that extended for two months was completed, too. 1/43 PENSKE CHEVROLET 1993 A.Senna Complete Model & Kits ALL INFO !! It jumps to the following site at the interest and the request. ★Look at Item here. ★Look at model making Blog here. 1/24 Ferrari 250GTO Special Full Set. & 1/24 Ferrari 250TR Special Full Set. It was reproduced. ★Commodity guide　250GTO　&　250TR　Please click!! 1/12 Real Scale Big Wheel reproduction. 1/12 Real Scale Big Wheel reproduction. Please retrieve it as a related product. It is only small number of people. Please give the order to bringing forward. The reference site. Here & Here Click! !